To wrap up this year in music - PBS has put together our Top 10 Feature Records for 2017. This list includes albums released all year round, all of which have featured on our weekly Top 10 list at some stage throughout the year. What a year of music! Top spot goes to....RVG's A Quality of Mercy. Review by Beth AQ (The Breakfast Spread) from back in February. A Quality of Mercy is the spectacular first full-length release from Melbourne band RVG. Recorded between DIY hub The Tote and multi-purpose, independent creative heartland The Bank - it offers an example of how the gentrification of Collingwood is directing music makers to explore and record works deeper into the burbs of Melbourne. Central to both places are their DIY aesthetic, both creating space for the artistic minds of Melbourne to come together, collaborate and produce something special. Romy Vagar, Reuben Bloxham, Angus Belle and Marc Nolte have a well-developed musical connection with features from Mike Lillis on horns. Romy has a lyrical conviction to be admired - delivering a potency reserved only for those with the highest emotional intelligence. Her vocals are as powerful as they are vulnerable, exploring themes of love, heartbreak, isolation and human fragility. Songs like ‘Eggshell World’ and ‘That’s All’ will find their way into your ribcage and crack you wide open. RVG show their commitment to inclusiveness in both the way they play and the way they interact with the Melbourne music scene. They are a strong part of the movement redefining the concept of success by pushing back against the strong narrative of ‘individual excellence at all costs’ and placing community at the heart of their craft. This release places RVG at the forefront of emerging Melbourne bands on the verge of seeping into mainstream consciousness (and hopefully bringing with them these ideas and values). 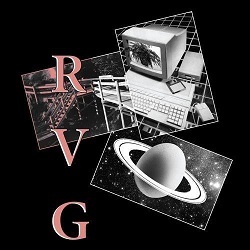 RVG deliver a world-class first release. Prepare yourself to be thrown back and feel all your feelings. Next up? 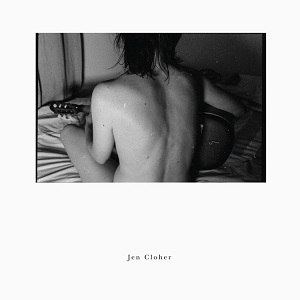 The amazing self-titled release from Jen Cloher. Review from Cameron Durnsford, PBS' Music Coordinator. Jen Cloher’s self-titled LP has been at the top of many end-of-year lists and with good reason. Picking up where 2013’s AMP-nominated In Blood Memory left off, Jen Cloher is undeniably her strongest album to date – a brutally honest look at life in the spotlight, a long hard look into the Australian psyche, and for me (and many others I’m sure) a place I kept returning to during a deeply unusual period in Australian social and political life. Cloher is as incisive a lyricist as you’ll find anywhere, and her band is sounding better than ever. PBS was lucky enough to have them in for a Studio 5 Live set in August – check it out here.